The School PE and Sport Funding was introduced in September 2013 and is allocated to schools in the form of an annual lump sum of £8,000 with an additional sum of £5 per pupil. Last year this was increased to £16,000. The Government believes that each head teacher should decide how to use the School PE and Sport Funding for their school. Inspectors will look at how well schools are using their additional funding to improve the quality and breadth of PE and sporting provision, including participation so that all pupils develop healthy lifestyles and achieve the performance standards they are capable of. 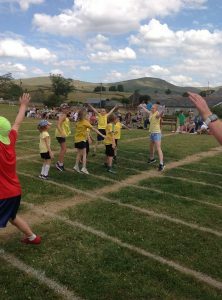 Parents should be able to understand what the sporting provision is in their school, both within and beyond the school day as well as making comparisons between schools. Each school is required to produce an annual report (this document) and publish it on their website. How does our school spend the School PE and Sport funding? Schools have the freedom to spend the funding as they see fit. 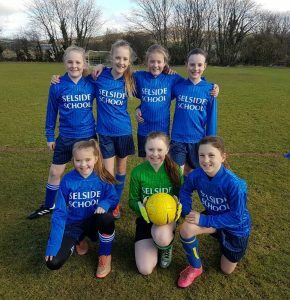 Here at Selside, the School PE and Sport funding is being used in a variety of ways so that we can improve the quality and breadth of PE and to increase sporting provision, including participation so that all pupils develop healthy lifestyles and achieve high performance standards. Initially an audit was carried out of our previous provision and resourcing for all aspects of PE and sports including swimming and competitive sports, extra-curricular activities and participation and provision for gifted and talented. • We have used a large proportion of the funding to enable our children to access high quality opportunities within the local area, employing a specialist teacher to work alongside our pupils and activities to develop a healthy life style. This sometimes includes the cost of transport to cluster competitions, coaching and sports events. • We make the most of our location in the Lake District to enable the pupils to take part in activities such as ghyll scrambling, mountain walking and water sports activities. • We treat PE as a core part of our curriculum. The time for it is protected and we encourage participation in as many local and county events as possible. 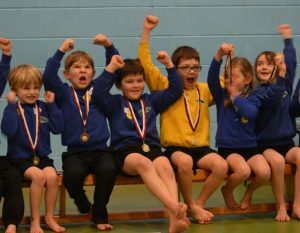 • We pay for swimming lessons for all of our children from Year 3 upwards for 1 term each year. 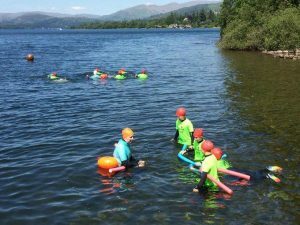 They continue lessons until they can swim 50 metres and achieve a personal survival award. • We identify gifted and talented pupils and ensure that there are opportunities for their needs to be met. • We have purchased additional PE equipment. This year this has included the purchase of mats and a balance beam for gymnastics and netball posts and bibs. How are we monitoring the impact of the School PE and Sport funding? The development of School PE and Sport provision is included in our governor monitoring programme and there is a named PE and Healthy life style governor Jen Armistead. • Attainment and achievement in PE is recorded. Children receive a detailed written PE report annually. • Success at competitions depends on specific make up of different cohorts. However, we regularly achieve better than expected for a small school. • Pupil participation on after school sports clubs is monitored, this includes the monitoring of different pupil groups. • The headteacher reports to the governor’s curriculum committee on the use and impact of the PE and Sports premium on a termly basis.